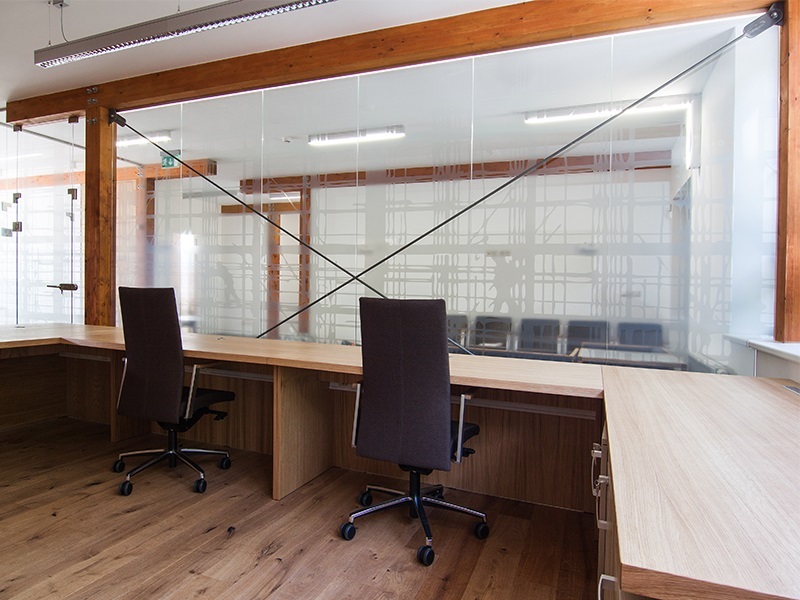 Above standard interior equipment in the form of a glass wall or partitions with printing are a design element suitable for residential and office space. FRAJT s.r.o. from the Czech Republic was awarded the unique Image Glass printing technology at the For Arch 2016 trade fair. Introduce an originality and visual ease to your office or flat thanks to our products. 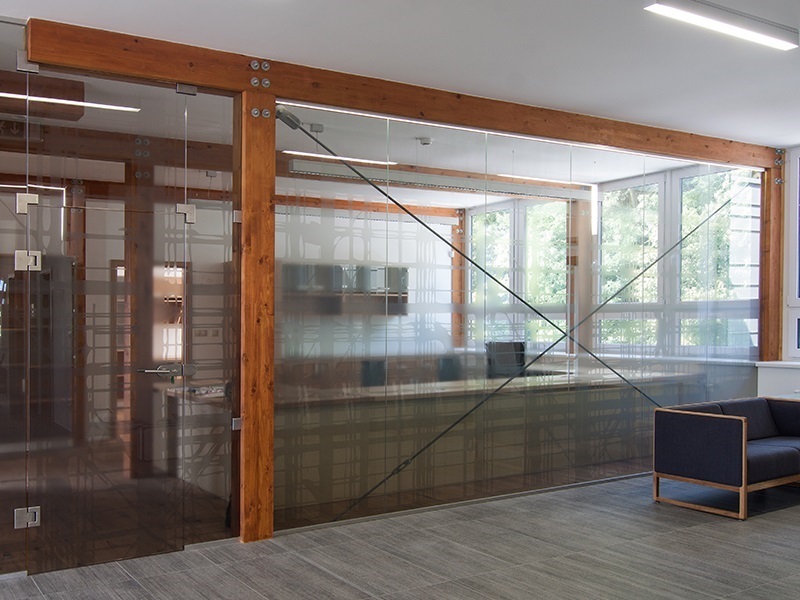 Glass walls and partitions make possible the individual space solutions. 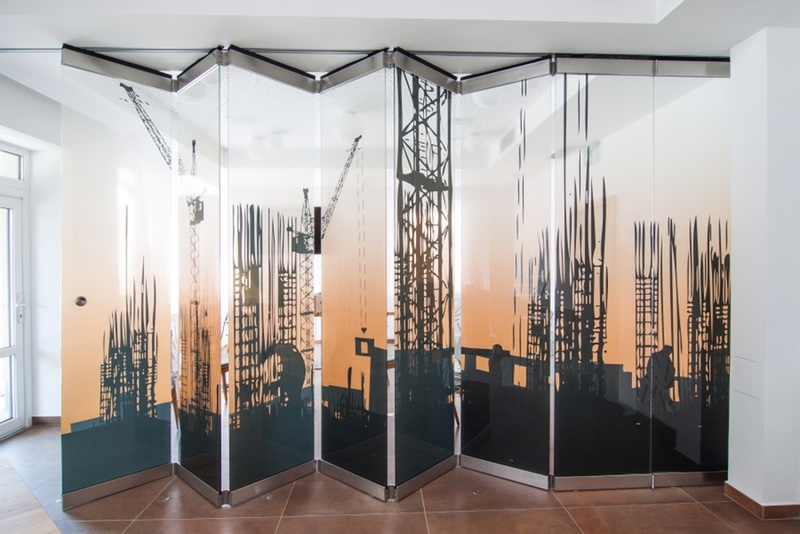 Thanks to the Image Glass-double vision effect, it is possible to have a different motif on each side and create a two-room partition due to the visual effects. In addition to the glass print motifs, which can be selected from our database, our graphic designer can create an original motif or you can provide a design from your architekt. The partitions and walls are made of the heat-treated glass thickness of 10 mm in combination with stainless steel or aluminum accessories with the anodized suface finish.